Aerial Photography: A photograph is a photograph, right? The good thing about Aerial Photography is that if you want to provide it, then it is dead easy to set up and start taking bookings. If you are an Aerial Photographer, that is. The bad thing about Aerial Photography is that if you want to provide it, then it is dead easy to set up and start taking bookings. If you are looking for Aerial Photography, that is. If you walked into a Photography Studio for some Portraits or you invited in a Product Photographer to shoot your latest and greatest, how would you feel if (s)he opened up her/his bag and pulled out a Go Pro camera? A little bit surprised, I'd expect. Miffed? Ripped off? "I could do that"? A Go Pro is a leisure camera. It's designed to be strapped to a helmet (bike, snowboard etc) and take action shots. It's not a Professional camera for Professional photographs. So, why is it acceptable to aerial photographers to sell their services based upon a DJI Phantom with a Go Pro strapped to it? For under £1,000 you buy a Phantom and a Go Pro, take the test (if you want to be legitimate) then you are up and running. Sure, you get better photographs than anything that can be achieved by a land-based camera and if you are inspecting a roof or larking about, then why not? Who cares about quality? Price is King. On the other hand, if you are paying for a professional Aerial Photographer to shoot your wedding, Hotel, Property for sale, then surely you should get a professional for your money? Someone that uses a proper camera, knows what the settings are and how to tweak them. A camera that produces images with good colour depth and quality. Overshoot gets beaten on price for a lot of work. But there again, Waitrose loses out to Aldi and Lidl on price. It's annoying, but those that appreciate that a Professional will use professional equipment will get better value and quality for their money. 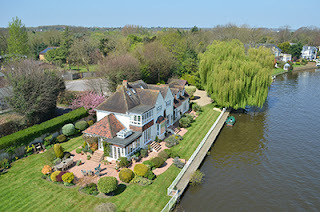 If you are looking for some Aerial Photography, your first question should not be "How much?". Rather it should be "How are you going to get the photographs that I want?"